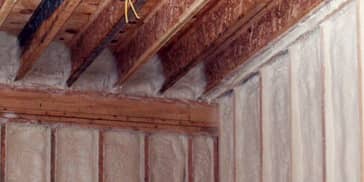 Spray Foam insulation has quickly become the insulation of choice for architects, builders and homeowners because of its higher R-value over traditional insulation that creates an air sealing quality and has vapor retarding qualities that create tremendous savings on utility bills. Icynene spray foam is the most extensively tested foam insulation on the market and we use this spray foam product for all our half-pound foam applications. 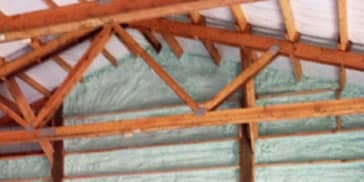 We find that Icynene spray foam insulation works well on new construction and retrofit applications, although there are limitations with retrofitting. Having a very high R-value per inch, Icynene® can add integrity to the walls structure in which it is sprayed while also providing a very good moisture-control agent. Copyright Â© 2014-2018. Addict Insulation Company LLC.